Mumbai: Kribha Handicrafts Pvt. Ltd, which runs online handicraft and natural products e-commerce portal craftsvilla.com, has received an undisclosed amount as early-stage funding from Nexus Venture Partners and Lightspeed Venture Partners. The company did not disclose the amount secured or the equity diluted as it was bound by a non-disclosure agreement. Kribha has already initiated dialogue with investors for a second round of funding. “We are looking at gaining scale rapidly. We need investments of ₹ 100 crore over the next two-three years," said Manoj Gupta, co-founder and chief executive, who earlier was principal at Nexus Venture Partners. Kribha was founded in December and its website launched in April. The company has 500 vendors and more than 1,000 artisans supplying it products, including apparel, bags, jewellery, home furnishing, health and beauty accessories. The company will use the funds to expand operations within India as well as overseas in the US, the UK, Germany and Japan. The investment will also allow the company to expand its team and build a robust back-end supply chain, besides setting up studios for artisans to get products shot for display on Kribha’s website. “The company is looking at a year-on-year growth of 500% to be a ₹ 100 crore company by fiscal 2013," said Gupta, who plans to adopt Fabindia Overseas Pvt. Ltd’s community-owned companies model, where communities that represent artisans are shareholders. This is Nexus Venture Partner’s third investment in the online shopping space. Its earlier investments were in Snapdeal.com, a discount deals website, and Yebhi.com, a shopping site selling everything from shoes and clothing to digital products. “Craftsvilla.com has got the first-mover advantage in the online space with a team that understands the space and business and is looking to gain scale. With funding it can become a dominant player," said Sandeep Singhal, co-founder, Nexus Venture. Investments in e-commerce by venture capital firms between January and August more than doubled over the year-ago period to $137 million across 21 deals, according to Venture Intelligence, a financial research platform. The figure was $55 million across 12 deals in the same period in 2011. “We are in discussions with four to five companies that have different models, verticals or ways to support the e-commerce space," said Singhal. India is estimated to have close to 500 e-commerce companies, of which 40 have received funding and 10 have gained traction. 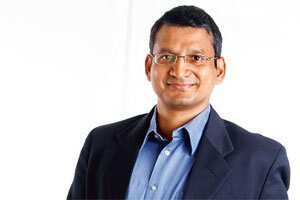 “It’s too early to speak of failures as the space is still nascent," said Mukul Singhal, vice-president, SAIF Partners, whose early stage investments include Zovi.com, Inkfruit.com and Firstcry.com. “We have noticed that the companies in which we have made early stage investments are growing at 30-50% month-on-month," said Singhal, which he credits to a compression of the learning cycle and the availability of funding. E-commerce in India is expected to grow by 47% in 2011 to ₹ 46,520 crore by the year-end, according to a report by the Internet and Mobile Association of India. Online retail will account for 6%, or about ₹ 2,700 crore, of the total market.